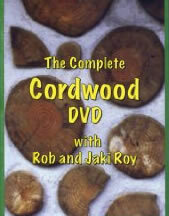 Cordwood construction utilizes short, round pieces of wood, similar to what would normally be considered firewood. For this reason this method of building can be very resource efficient, since it makes use of wood that might not have much other value. Cordwood building can also create a wall that has both properties of insulation and thermal mass. The mass comes from the masonry mortar that is used to cement the logs together, and the insulation comes from the wood itself and the central cavity between the inside and outside mortars. Like strawbale walls, many building authorities require a post and beam or similar supporting structure and then using cordwood as an infill, even though the cordwood method creates a very strong wall that could support a considerable load. This method produces a look that is both rustic and beautiful. The process of building is similar to laying rocks in mortar, where the the logs are aligned with their ends sticking out to create the surface of the wall and mortar is applied adjacent to each end of the log. Typically the logs are not coated with a moisture barrier, but are allowed to breath naturally. It is possible to include other materials into the matrix, such as bottle ends that would provide light to enter the wall. Recent experiments with the use of cob instead of cement mortar to join the logs have been encouraging and this method may provide a somewhat more ecological approach to cordwood building. In this case special care should be taken to have large eaves to keep water away from the wall. After studying the wide array of "natural building" techniques for several years, I have come to accept cordwood as one of the greenest of all: it uses what is often considered a waste material, creates an insulated wall that requires no further finishing or maintenance over time, and can be done by relative novices...what more could you want? cordwoodmasonry.com Rob Roy's Earthwood Building School site, focuses on cordwood masonry and earth sheltering. naturalhomes.org lists workshops from around the world with some of them related to cordwood construction. daycreek.com a very informative, atractive and well designed site devoted to cordwood masonry and other forms of natural building. 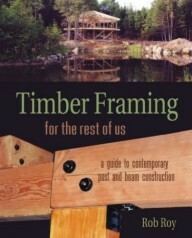 theownerbuilder.com.au an article about an Australian cordwood cabin. smallhouseliving.org a short article published in 1941 with a photo of a cordwood cottage. 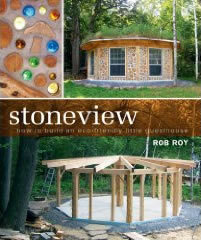 daycreek.com has pictures and description of building a cordwood home at the White Earth Reservation in Minnesota. 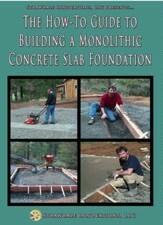 daycreek.com is an article by the Flatau's about building a cordwood educational center. thenauhaus.com features blog-style updates to the Building G align="left"reen chapter on cordwood. picasaweb.google.com A photo gallery of a lovely cordwood Hobbit House. 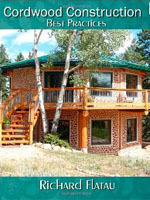 inspirationgreen.com offers a lovely collection of cordwood cabins. cordwoodconstruction.wordpress.com Richard Flatau's cordwood blog.